Some breathtaking sights are on display in The Gambia, including the Gambia River and Arch 22, while the Crocodile Pool at Kachikally Museum and Abuko Nature Reserve provide tourists with up close views of beautiful, rare animal species. It is essential to study the laws upheld in The Gambia before arriving, which differ severely to those in the UK. Reading up customs of The Gambia, an Islamic country, will be required to ensure your actions do not offend their cultures or religious beliefs. The only way to access The Gambia from the United Kingdom is by airplane. Travelling to The Gambia’s capital city, Banjul, from London can result in vastly difference travel times, however. Depending on your airline, you may be able to reach Banjul between eight and 11 hours, although an average time is more likely to extend to around 16 hours. However, certain flights can take anywhere between 58 and 65 hours. If you are uncertain as how to manage your diabetes while flying, you should consult a member of your diabetes team. The time difference in The Gambia is one hour ahead of British Summer Time and the same as Greenwich Mean Time, which should not neccessitate major changes in your diabetes management. The climate of The Gambia remains at an average of 25°C all year round, and insulin takers should be wary that this heat could result in enhanced insulin absorption. It is therefore critical to regulalry check your blood sugar levels, especially if you planning any physical activity. If you are concerned about the prospect of a hypo you could consider reducing your dosages. The currency used in The Gambia is the Gambian Dalasi. ATMs are infrequent, so currency should be collected before arriving, although the British pound is also wide accepted in many establishments. 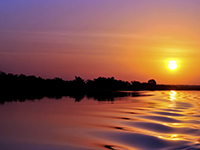 There are no mandatory vaccinations to enter The Gambia, however several are highly recommended. You should consult your doctor eight weeks prior to your departure in order to receive the vaccinations in time. All travellers are recommended to get vaccinations for hepatitis A and typhoid, which can be contracted through contaminated food or water. Yellow fever is a risk in The Gambia, so it is recommended that travellers under the age of nine months should receive immunisation. The government of The Gambia also require proof of yellow fever vaccination if you have travelled from a country with a risk of yellow fever. Some travellers are also recommended to receive vaccinations for other diseases, including hepatitis B and rabies, which can be carried by dogs, bats and other mammals in The Gambia. Vaccination against meningitis is recommended for travellers planning to visit The Gambia during its dry season of December-June, in which the disease is most common. UK citizens with diabetes will not be entitled to any free medication services while in The Gambia. Securing comprehensive medical insurance will be essential in order to obtain even basic treatment. Diabetic medication is available in The Gambia, but payment will be required for all medicine and health care facilities are relatively sparse anyway. In case of an emergency, the number to call for an ambulance is 116. You should note which syringes are available in The Gambia, with U-100, U-80 and U-40 syringes the most commonly used. How is blood glucose measured in The Gambia? Healthcare is not standardised, so it is not possible to say it is measured in any particularly clinic or health care facility. The general consensus, however, is that most places measure in mmol/l. What language is spoken in The Gambia? Wollof and Mandinka. It is imperative to learn basic phrases as a minimum requirement before entering The Gambia.